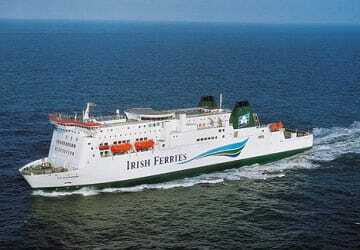 The Rosslare Pembroke ferry route connects Ireland with Wales. 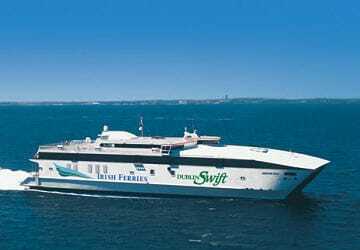 Currently there is just the 1 ferry company operating this ferry service, Irish Ferries. The crossing operates up to 14 times each week with sailing durations from around 4 hours 1 minute. Rosslare Pembroke sailing durations and frequency may vary from season to season so we’d advise doing a live check to get the most up to date information. Prices shown represent the average one way price paid by our customers. The most common booking on the Rosslare Pembroke route is a car and 2 passengers. I had to take the ferry to Wales for a family funeral. I also had to change dates for the ferry as auto complete made the same reservations as another trip by air. Got on to customer service who were superb and made alternative arrangements. The ferry took a lot of stress out of situation and the crossing was great. Didn't need a car so I left it parked at Roadside and travelled foot passenger which again allowed me to relax on the boat. The transfer bus was quite an experience bit one I actually enjoyed, many thanks for a pleasant experience. Good no nonsense check in, well informed by the Captain of journey times, good staff all in all a good trip. will use again. The ship has good places for bikes to stow on car deck and you can get off early. Good breakfast to start your trip. This is the first time that we travelled with Irish Ferries. We reserved lounge seats for the journey and found this experience to be much superior to the Ferry company we travelled with in the past. The customer service was excellent with friendly staff who supplied us with blankets during our journey. Normally we brought our own. The seats although not overly comfortable when sitting for long periods were much better than experienced elsewhere. I would recommend this ship to other travellers and will certainly be travelling on it again. Excellent crossing as per usual. 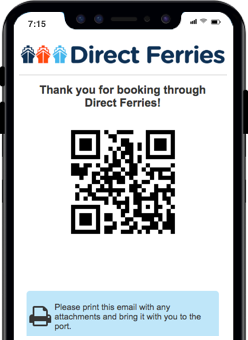 No problems with online booking, easy checkin. Left on time. Very quite crossing. I don't understand why its so expensive at time. The town of Pembroke is located in the county of Pembrokeshire in the west of Wales and lies on the South Pembrokeshire Peninsular by the estuary of the River Cleddau. Pembroke is located around 13 km to the south of the town of Haverfordwest and 120 km from Cardiff and sits at the bottom of a valley that is surrounded on all sides by farmland and woodland. Pembroke Castle is a popular and interesting attraction in the town and was the birthplace of King Henry VII of England and later became the home to the Knights of St John in the United Kingdom. The county of Pembrokeshire borders Camarthenshire to the east and Ceredigion to the north east and is home to the Pembrokeshire Coast National Park which is the only coastal national park of its kind in the United Kingdom, and is one of three national parks in Wales. The other two are the Snowdonia National Park and the Brecon Beacons National Park. The beaches around Pembrokeshire's coastline have been awarded many International Blue Flag Awards, Green Coast Awards and Seaside Awards. Also, in 2013 it has 39 beaches that were recommended by the Marine Conservation Society. 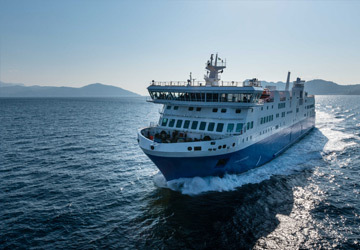 From the town's port, ferry services operate to Rosslare in Ireland, with a journey time of around 3 hours and 45 minutes.